We'll cover the various OEM exhausts in this installment, and throw in one aftermarket one for good measure. There's two basic OEM 'types', with variations depending on years/models. 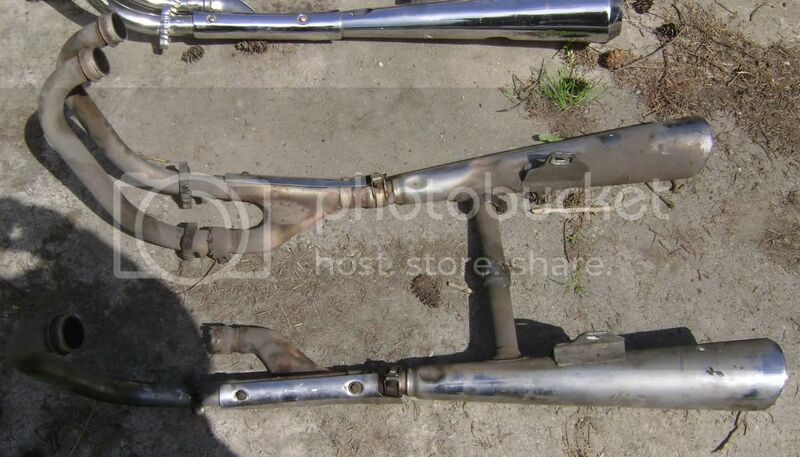 This is the 'standard' exhaust, used on the '78-80 standard bikes (NOT the '81 standard). Markedly different from any other, the most obvious difference is the large 'tuned' crossover and length. Longest of the OEM systems at about 50", these also block access to the rear axle when installed. There's a cable arrangement for holding the swingarm up when removing the axle on bikes fitted with this exhaust. 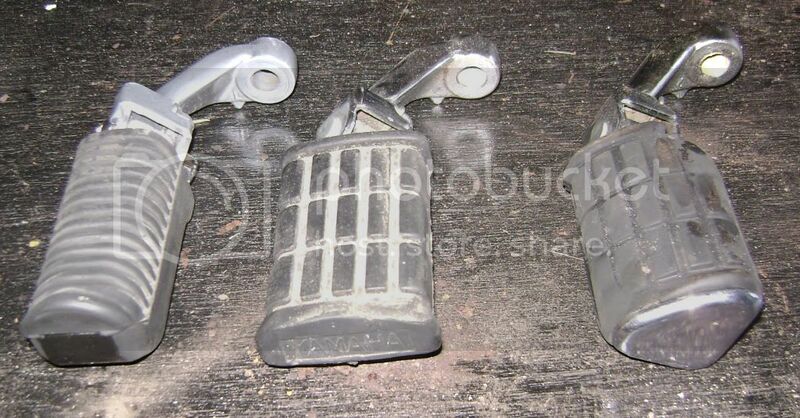 These also have non-removable heatshields, they're welded-on with these (the non-US versions are removable). 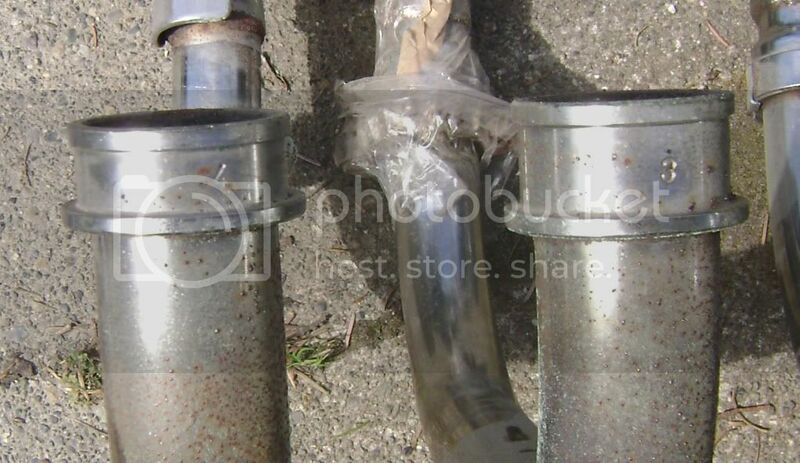 This system can be fitted to all other models, but fabricated muffler mounts will be needed. Stock standard rear muffler mount. These are the only ones not welded to the muffler. The 'Special' exhaust. Used on all '79-81 Specials, the '81 standard, and with a black finish, the '80-81 Midnight Specials. This system is about 7" shorter than the standard system, and considerably lighter than the standard (I suspect this is the entire weight difference between the two models). This has shorter mufflers, spead further apart, so these require exhaust-specific side and centerstands. Another difference is the mufflers angle up at the rear, preventing these from being used on 'standard' models (more on this below). 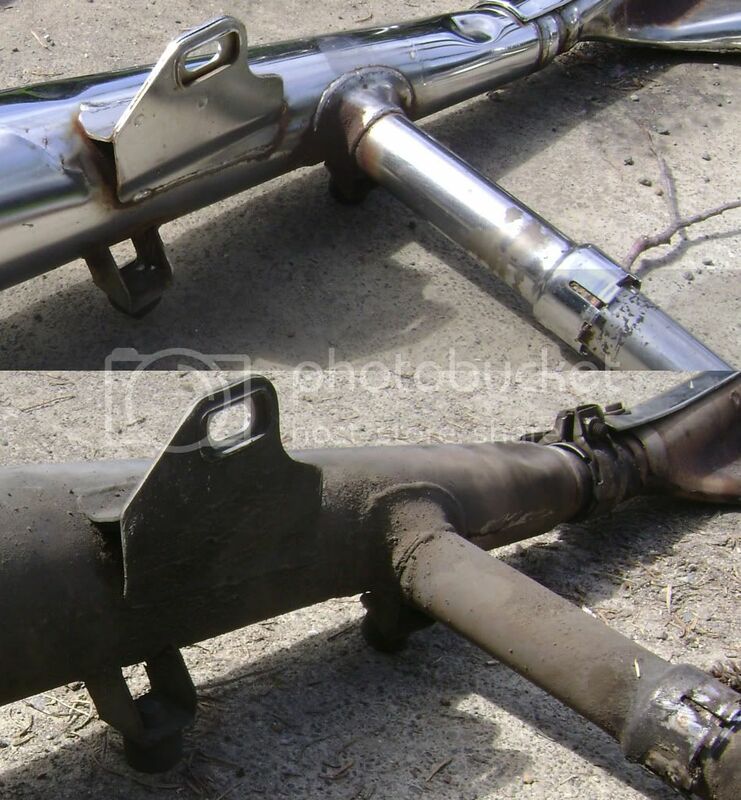 Both the standard and Special exhausts are one piece from the outside head pipes all the way back; replacing parts means welding. The XJ exhaust. Really just a variation of the Special, and fully interchangeable between them as complete systems. 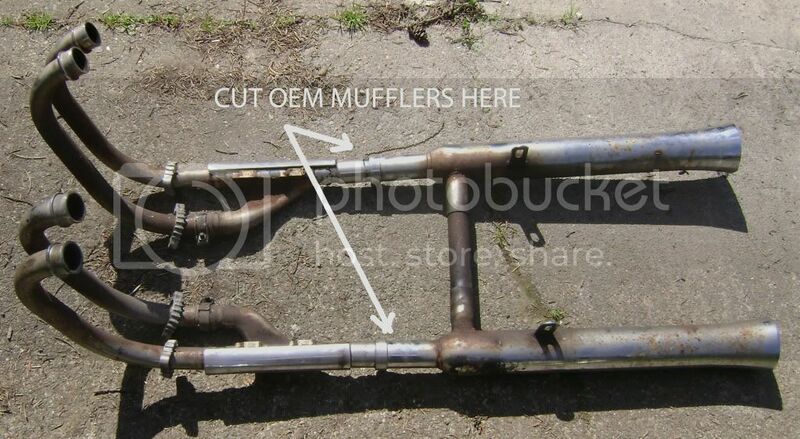 Slash-cut mufflers are a design difference, and the mufflers are no longer welded to the collectors. Slightly longer than the Special system (about 1 1/2"), mostly due to the slash-cut. Only sold in the US for one year ('82), through '84 in Canada so these are hard to find. Rear footpeg/muffler mounts. The '78-80 standard unit is at the top, the Special/81H/XJ unit below. 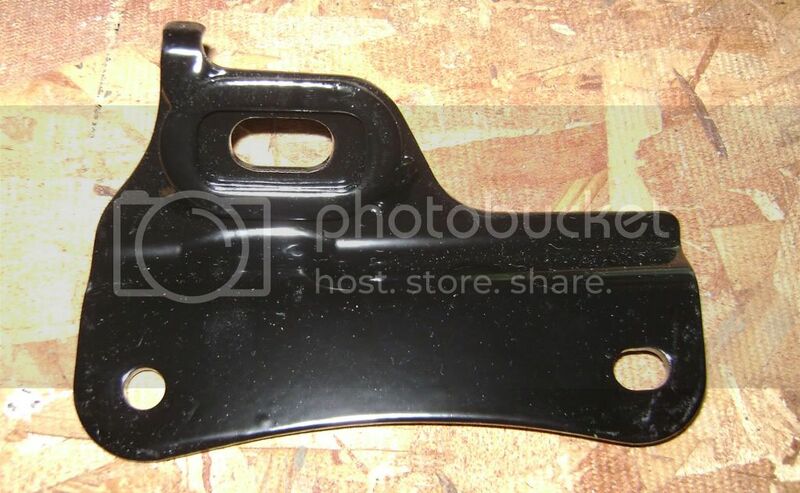 There is one variation of the Special mount; the one shown is for '81/XJ bikes, the '79-80 Special piece didn't have the 'detail' line molded in as shown. Also note that the standard mount has the brake pedal pivot as part of the mount, the special mount is cut away for the frame-mounted pivot on the other bikes. These do not interchange. This pic shows that the Special and XJ have the same 'stops' for the side and centerstands. And if you look carefully at the system pics above, you'll see that both have the same 'clearance dents' for the mounts and brake pivot. I'll note here that the standard exhaust has a stop for the centerstand but not the sidestand; a small vinyl 'donut' is fitted on the standard sidestand for the stop. Here's some variations between years. 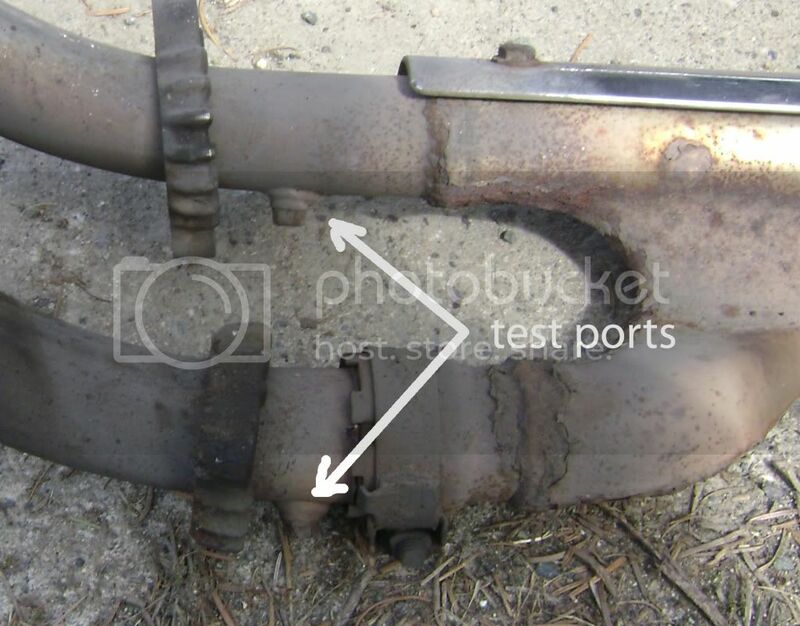 Above is the 'test ports' fitted to later exhaust systems. I believe these were fitted first in mid-'80, and were used to end of production. Just a small hole, sealed with a bolt. 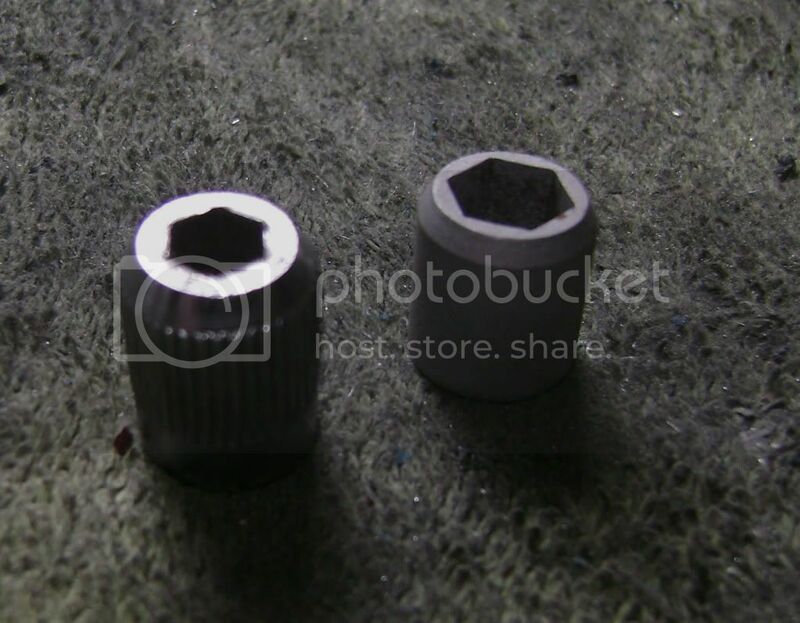 Another small difference; two different type exhaust nuts. 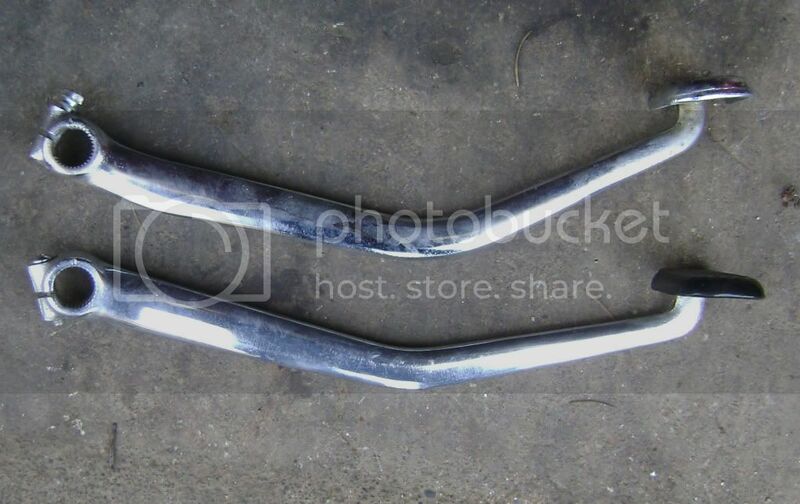 The one on the left was used on the '78-79 bikes, is chrome and uses a 6mm wrench. 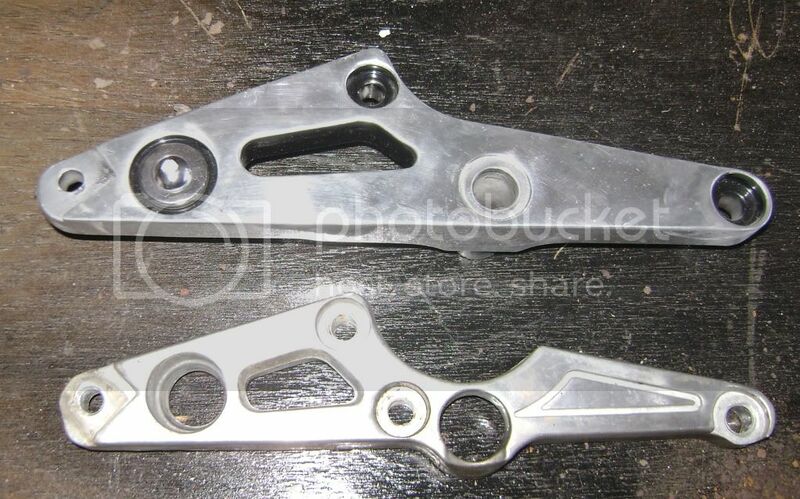 The right side is the '80-up bikes, zinc plated, and uses a 8mm wrench. There's two different brake pedals also. 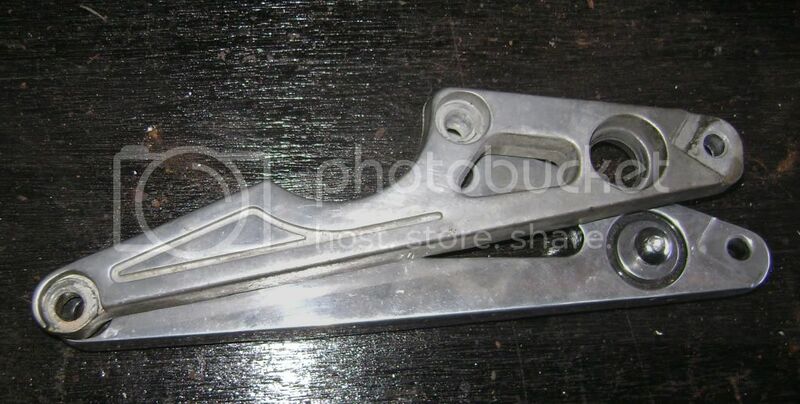 Because of the relocated brake pivot, the Special pedal (top) is slightly longer and more curved to clear the footpeg. These can be interchanged, but fit and adjustment won't be the best. fronts, the rears are similar. One other difference is the mount is painted black on all the standards, and chrome on the Specials/XJ. 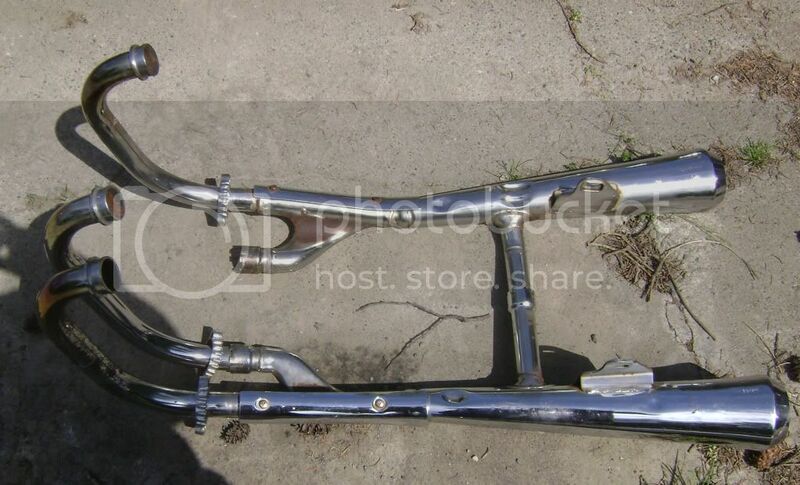 The rear footpeg parts are all painted/zinc coated on the '78-80 XS bikes, chrome on the '81 XS/XJ. Last edited by crazy steve; 05-02-2013 at 01:39 PM.